Chief engineers with the Air Force Research Laboratory tour von Kármán Gas Dynamics Facility Tunnel D during their annual Systems Engineering Program Management (SEPM) meeting. The SEPM was held at Arnold AFB for the first time ever in early March. Arnold Air Force Base in Tennessee marked a first in its nearly 70-year history last month. For the first time ever, Arnold AFB hosted the Systems Engineering Program Management meeting, an annual gathering of Chief Engineers across the Air Force Research Laboratory. During their time at Arnold, these engineers not only shared with one another aspects of their jobs, but they also acted on the opportunity to tour Arnold and get a closer look at its facilities. The two-day SEPM session was March 6-7. According to Dan Ogg, a research mechanical engineer within the AFRL High Speed Systems Division, High Speed Experimentation Branch at Arnold who helped coordinate the visit, the SEPM meeting focuses on the “programmatics and logistics behind a chief engineer’s day-to-day duties.” The engineers discuss tools and resources that support their programs, including workflows, tracking, databases, cyber vigilance and streamlining processes. 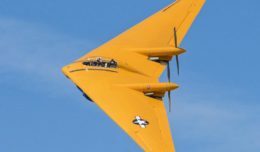 According to its website, the AFRL, which is headquartered at Wright-Patterson Air Force Base in Ohio, is a “global technical enterprise, boasting some of the best and brightest leaders in the world.” Its mission is to lead the discovery, development, and integration of affordable war fighting technologies for air, space and cyberspace forces. The approximately two dozen chief engineers who attended the Arnold-hosted SEPM came from multiple AFRL sites including Wright-Patterson AFB; Edwards Air Force Base, Calif.; Eglin Air Force Base, Fla.; and Kirtland Air Force Base, N.M. Different Air Force sites host the SEPM each year, and the AFRL chief engineers cycle through various locations for their annual meetings. Ogg said it was the turn of the Aerospace System Directorate (RQ) to host the meeting. Mike Huggins, chief engineer for this Directorate, wanted to showcase the AFRL’s collaboration with the Air Force Test Center/AEDC. This led Huggins to recommend that the SEPM be held at Arnold rather than Wright-Patterson or Edwards, the other two RQ sites. Most of the group’s time throughout the SEPM meeting was spent at the Gossick Leadership Center going through the more than 20 briefings the participants put together to inform others about their respective Directorate and high-level job aspects such as strategic decision making, developmental planning, acquisition planning, integration and prioritization, and industry engagement. Although there are no chief engineers in the AFRL High Speed Experimentation Branch at Arnold, Ogg, along with helping coordinate the event, participated in the meetings. Dr. Kristin Rice and Mr. Todd Barhorst, also from AFRL’s High Speed Systems Division, helped lead a tour of the Aerodynamic and Propulsion Test Unit facility on base. The SEPM meeting marked the first time some of the chief engineers had visited Arnold. “It was a great opportunity to introduce Arnold to those that haven’t spent time on base before,” Ogg said. The chief engineers were welcomed on March 7 by AEDC Deputy Director Dr. Mark Mehalic, who recently reported to a new position at Wright-Patterson. After the group enjoyed a BBQ lunch catered by Arnold Services, Mehalic provided an AEDC overview in which he discussed the establishment of Arnold AFB, the evolution of its workforce, its different test facilities, and the infrastructure that supports AEDC research and testing. 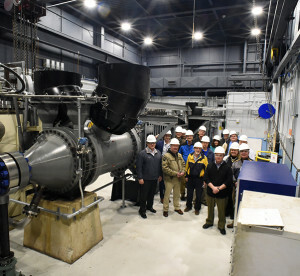 Following Mehalic’s introduction, the chief engineers spent the afternoon visiting various test facilities across Arnold AFB including the J-6 Facility, Test Cells C-1 and C-2, the Aerodynamic and Propulsion Test Unit and von Kármán Gas Dynamics Facility Tunnels A, B, C and the newly-reactivated Tunnel D.